Butchering is one of the oldest trades in British history, but when supermarkets dramatically changed the face of the high street, a lot of people became concerned that they wouldn’t survive. The number of UK-based butchers’ shops has dropped “from 30,000 to 6,000 in the past 20 years”, but our demand for them is beginning to increase again, and it can still be a very profitable business. Tunbridge Wells-based butcher Peter Speaight saw his sales increase by 25% in 2013, and partly attributes it to shoppers being unimpressed with supermarket choices. Speaight can tell customers where his meat comes from, provide bespoke cuts and deals, and offer a much higher quality product. A Somerset butchers run by Malcolm Pyne serves 500 customers every Saturday, and Pyne thinks if he took a more traditional approach he’d “knock 80% of (his) volume”. Cajun spices, prepared cuts, and following trends have made him a lot of money selling meat. Ian Chatfield, a butcher with decades of experience, opened a new shop in Kent and unknowingly chose the best possible launch date – the day the ‘horse meat scandal’ hit the news. 2013’s revelations that many beef products actually contained horse meat have pushed some to their local butchers. 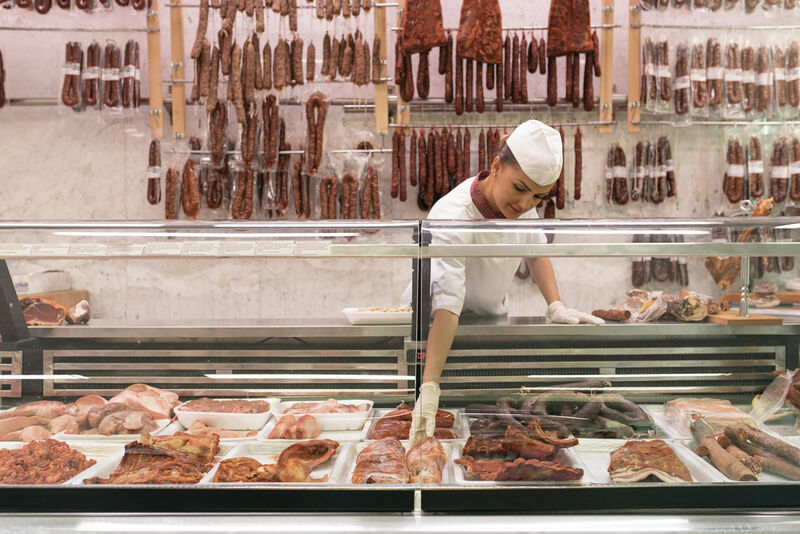 The National Federation of Meat & Food Traders found their members experienced a “50% increase in the demand for sausages, mince and burgers” after the horse meat scandal. Two Lancashire-based brothers launched their butchers from a van in 2009, and now Roaming Roosters is a bistro, ecommerce site, and farm turning over £1.2 million a year. Their main problem is a lack of butchering talent, however, so they’ve set up a training centre to teach basic skills and bring passionate youngsters into the industry. According to one of Roaming Roosters’ founders, Simon Mellin, “the average age of a butcher in the UK is 56” and it’s not seen as attractive a career prospect. Most butchers trading in the UK have been active for over 20 years and know the industry well, which puts them in a perfect position to start training the next generation. If you want to invest in new staff and training, Capify can help your business raise between £3,500 and £500,000. The application form is extremely simple to complete and you will have a decision within 24 hours. Every time money comes into your business through a card transaction, Capify take a small percentage until the finance is repaid. Find out how much money your business can raise today.